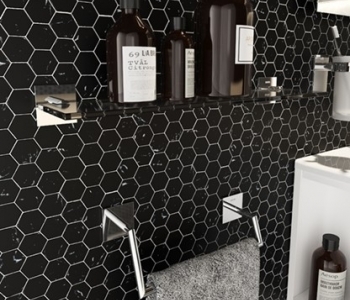 Bath+, the young, modern range by Cosmic, has just added two new strikingly original accessory collections to its catalogue. Diabolo is a fresh and fun proposal, born from the ingenious combination of just a reel and some rope. Then there is Stick, a modern, practical, functional collection that includes some hanging accessories. Diabolo was created by Yang Ripol, a multidisciplinary design studio founded in London in early 2011 by designers Yeonju Yang and Claudio Ripol, from South Korea and Spain respectively. The new Bath+ collection takes its inspiration from ship moorings, and so its design moves away from more traditional bathroom proposals. The range is made up of a towel bar, toilet paper holder and hook, which are available in various colour combinations: white, black or red for the rope and white, black or chrome for the metal pieces. “Our philosophy is to create objects that are iconic and different, but always giving priority to functionality. Diabolo is designed for people who are a bit nonconformist, who seek unique products, but without ornamentation,” the designer explains. The collection, with its dual system, is easy to install: it can be attached to the wall with 3M adhesive tape or secured with conventional screws. Stick is the simplicity of good taste. Accessories designed for young people, urbanites, and people who love clean spaces without complications. Its creator is Valentí Garcia, Conceptual designer and artist. The items stand out thanks to their lightweight appearance and because they are easy to install, as they can be attached to the wall with just 3M adhesive tape. This is a full range that includes two items that can be hung on existing furniture: a robe hook and towel bar. One of the most innovative details of the collection is the asymmetric shape of the towel ring. “Although Stick is a set, I would venture to say that the towel ring is its leading piece. It takes centre stage because it is a square-shaped, asymmetrical ring,” explains Valentí Garcia. 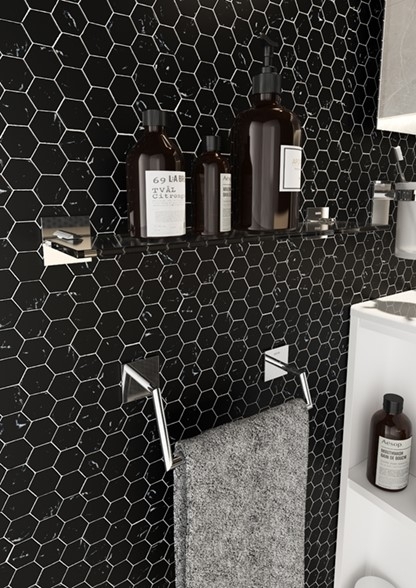 The collection comes in three finishes: matte white, matte black and chrome, trending options for a modern bathroom.